Kiyoshi Kurosawa, a director who has enough of a reputation to encourage attendance by cinephiles, is best known for films like “Cure,” wherein a detective investigates a series of gruesome murders by people who have no recollection of what they have done. Here the famous Japanese director continues on that theme, soon noting that Akira Tachibana (Yuri Tsunematsu), the daughter of a victim, may be guilty of murdering her family. When Sakurai (Hiroki Hawegawa), a journalist with a weekly magazine, is following the story when he wanders into a more original and involving tale: Amano (Mahiro Takasugi), an alien, asks the journalist to be his guide. One wonders why Sakurai would involve himself at all given that Amano speaks of an imminent invasion of Earth by his fellow aliens. Grudgingly, Sakurai acts as a guide, informing the young man, a fish out of water, of the general culture of his fellow earthlings. The principal story, however, is a romantic one, one of the redemptive power of love. 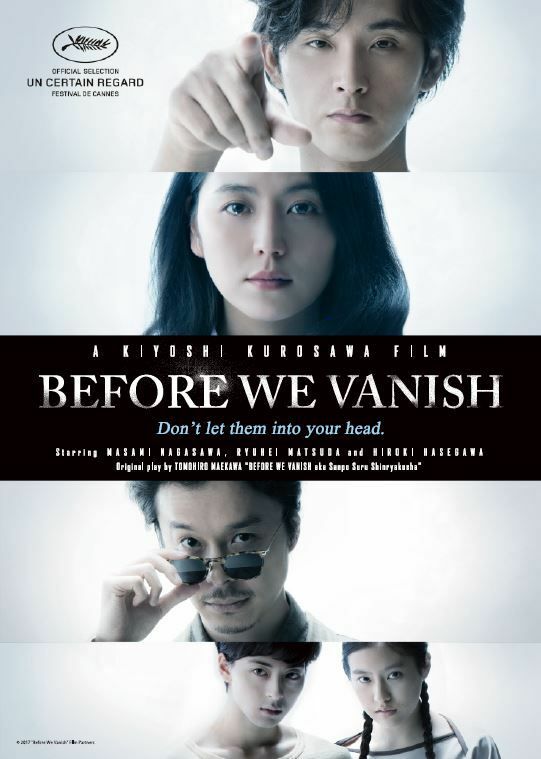 Narumi (Masami Nagasawa) is having a difficult time getting along with her estranged husband Shinji (Ryuhei Matsuda), who has become like an empty vessel. He has no memory of his life and, resembling an autistic man of about 30, has no knowledge of social graces. When Narumi, an illustrator whose boss is not satisfied with her designs for a festival, finds that Shinji interferes with her work by following her into her office, Shinji, with the touch of a finger, transports the rigid employer into a fun-loving fellow who throws papers around the office and acts like a fellow who’d rather not wait until the Christmas party to act child-like. In other words, sometimes changing people by taking from them their concept of work may not be an altogether bad thing. Expect people to act odd, whether they are aliens with little knowledge of the culture of earthlings or human beings who have been inhabited by them, but the moments of violence are doled out as though with the annoyance of a director who would rather remain on a philosophic plane. With a Japanese title of Sanpo suru shinryakusha, or “Strolling Invaders,” we can understand that Kurosawa is in no hurry to rush into physical actions. At 130 minutes with scattershot attempts to discuss the meaning of life, “Before We Vanish” is highbrow sci-fi that could have made its points with a metaphoric red pencil. The film played at the prestigious New York Film Festival in 2017. There are bound to be journalists who consider this the best sci-fi movie of the year, but for me, a more intense and focused narrative would have better served the entry.